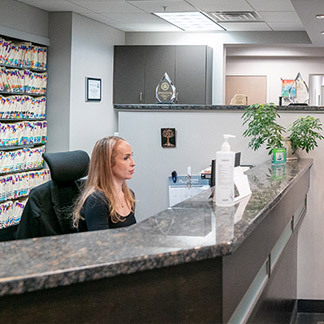 During your first visit, we will review your dental and medical history forms, and take radiographs of your teeth and mouth. Then Dr. Kayne or Dr. Tuckman will perform a full examination, review radiographs, and present findings. Then our team fabricates a treatment plan, and answers any questions. At your next visit, one of our hygienists will clean and polish your teeth, and inspect your teeth and gums for cavities or early signs of tooth decay or gingivitis.